Celebrate the return of Wonder Woman in her epic new movie with this richly detailed 12&quot; true to scale fashion figure. The stunning Amazon princess wears a blue evening gown with elegant lines, formal boots and her hair pulled back in a French Twist. She conceals her iconic sword so she can go from esteemed guest to warrior in an instant. A Diana Prince fashion doll is also available for even more fashion and action play. This battle ready version of the DC Super Hero wears her iconic golden armor, Lasso of Truth and infamous headdress. You can choose them both for captivating display and battle posing. These unique fashion dolls also make superior additions to your collection! Each sold separately. Celebrate the return of Wonder Woman in her epic new movie with this richly detailed 12" true to scale fashion figure. The stunning Amazon princess wears a blue evening gown with elegant lines, formal boots and her hair pulled back in a French Twist. She conceals her iconic sword so she can go from esteemed guest to warrior in an instant. A Diana Prince fashion doll is also available for even more fashion and action play. This battle ready version of the DC Super Hero wears her iconic golden armor, Lasso of Truth and infamous headdress. You can choose them both for captivating display and battle posing. These unique fashion dolls also make superior additions to your collection! Each sold separately. Diana in her blue ballgown from the movie. The face sculpt on this doll, is just as beautiful as Gal Godot! You nailed it Mattel! she actually has muscles, but is still feminine. The dress is beautiful, but it has raw edges, that might fray after a lot of play. There is no sheath in the back of the dress, you just have to shove the sword down her back. Her hair is in a neat chignon. For a playline doll, this is worth every penny! I love the details of this product. She looks just like she does in the movie! I like that you are able to move her arms and legs. You can recreate a lot of her moves from the movie. Her boots are a nice touch as well. I bought this for my granddaughter. Out of all the wonder woman dolls available, this is her favourite ww costume. She loves the hidden sword in her blue dress. the doll is very beautiful. she looks very much like the actress and the dress is beautifully made. the only grip i have is that since it cant stand on its own i wish it would've came with a doll stand. Beautiful replica. Stunning blue dress with sword and sheath is so cool. Details in her face are absolutely lovely. I liked her so much that I bought 3 of them! I ordered it online a month ago to be sent to a nearby post office with the billing address of the same. There was no problems because of this. The doll itself does not resemble Gal Gadot in any way. Exepected a more finished product. For the price it is okay. One elbow is not as stiff as the other. Can stand on its own in certain times. Says 'Includes sword and hidden sheath' on box. Don't know what they mean by sheath - I only got the sword. I found out there is a small white loop stiched on the inside of her dress to hold the sword in place. She can hold the sword on her right hand. The sword has to bend if one has to shove it down her back. Her neck is a bit short. Her hair was squished up so I had to undo it and put a ponytail on her to make her look better. 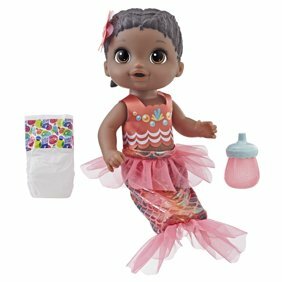 I liked most things about this doll - the fact that her hands and feet are beautifully made and normal sized, and that she is well-muscled. What I don't like is that her ankles are not articulated and since her feet are way bigger than the usual fashion doll feet, it will probably be impossible to find other shoes for her, particularly because the boots she comes with are high-heeled. Also there is no sheath for the sword. It just slides down the back of her dress. But I like her face - she looks strong. She isn't just another pretty face. This is a really pretty doll and I chose her over the others because she didn't have the headdress molded on. I liked the very strong-looking figure very much. She stands nicely which is a good thing since a stand was not included. Things I didn't like were that even though the box clearly says there is a hidden sheath, there isn't one. The sword is nice but it was a fight to get it into the gripping hand. I wish there were some fashion packs so I could re-dress her in her iconic costume too. I thought my daughter could use her Barbies clothes and shoes w her but just the clothes fit. This doll has HUGE feet so we can't change up her shoes with those she has of Barbies.